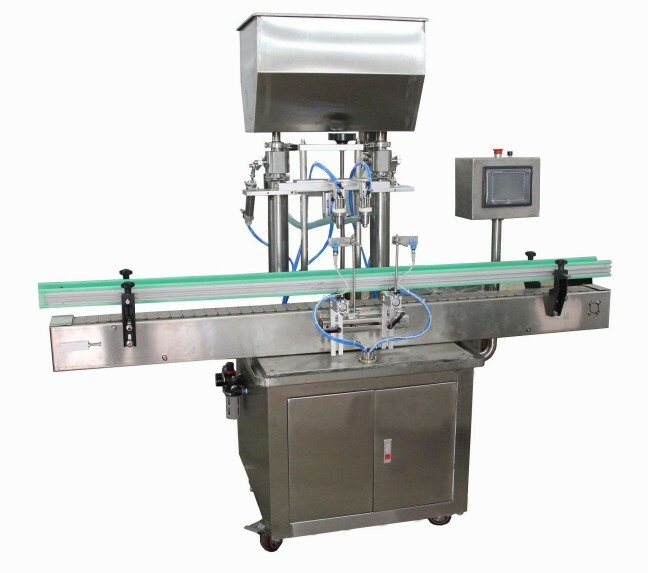 New Automatic Liquid Filler Model RG-2. (other models available up to 12 heads) Features: 316L stainless steel contact parts, simple quick and accurate operation, 2 filling heads, 2 cylinders, error correction, easy cleaning and maintenance. Compact attractive design, convenient installation and filling adjustments, no missed filling and accurate filling dosage with counter provided. Closure head preventing leakage and wire-drawing, filling elevating system preventing high froths, bottle top positioning system and liquid level control system provided. AirTac pneumatic elements and Omron electrical control parts, with stable performance. Widely used for filling various kinds of liquid and ointment materials in the chemicals, food, pharmaceutics and oil industries. Delivery Time: approx 8 weeks from receipt of 65% deposit.